Description:1. 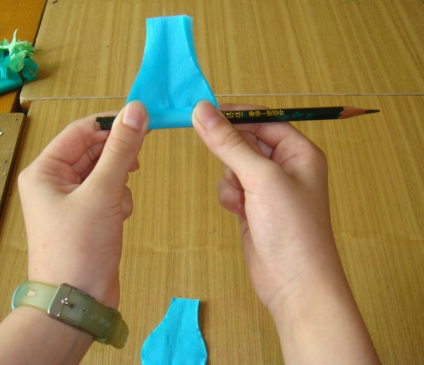 Prepare the needed wrinkles, scissors, glue, wire. Description:2. 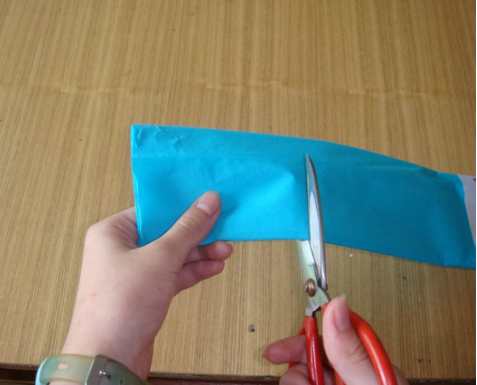 Cut a 9 cm long wrinkle paper. Description:3. 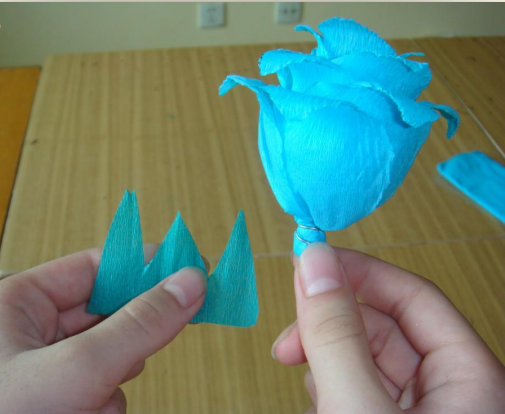 Fold the cut paper in half along the line and draw the upper half = petals. Cut with scissors. Description:4. cut open after the appearance. Description:7. 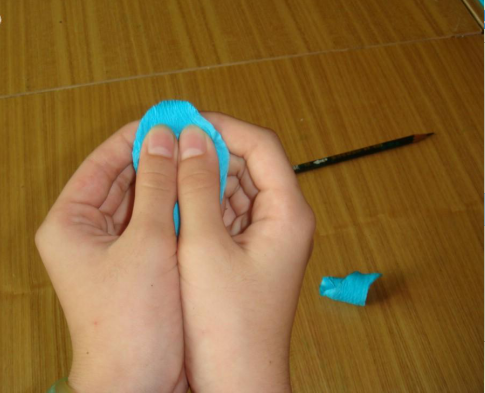 After squeezing, take off the pencil. Description:8. 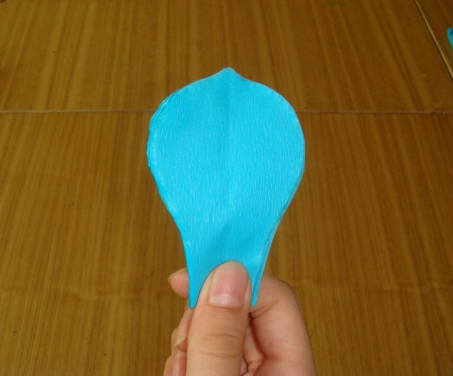 Open the squeezed petal, insert two index fingers into the back of the petal, and use two large thumbs to discharge the petal center. 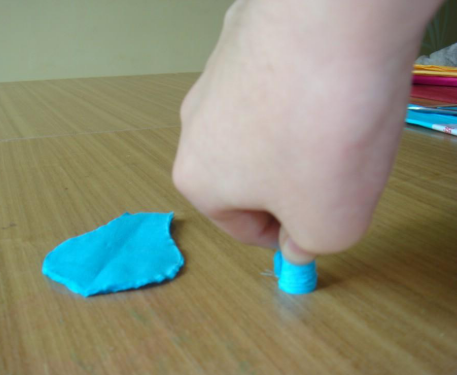 Then push the two fingers into the middle of the petal and stretch the petal apart. Note that the force should be light and even. 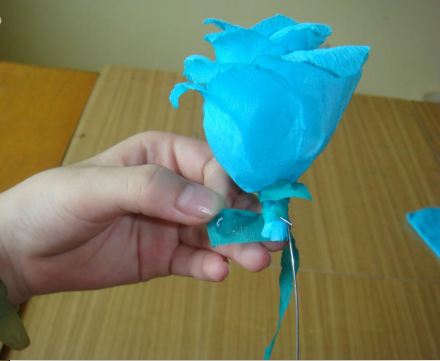 Description:9. then a piece of petals will be opened, just cut flowers and then the rest of the paper rolled, made flower heart. Description:10. 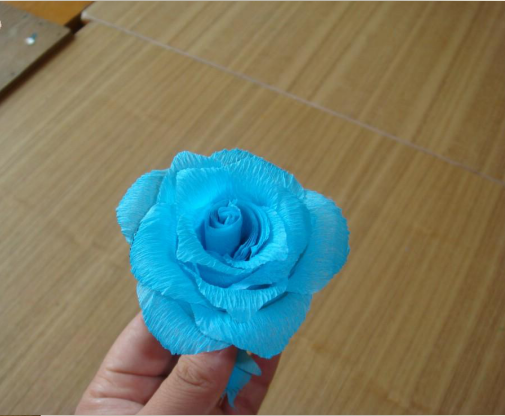 Pick up a floret and place the center of the flower in the middle of the petal. 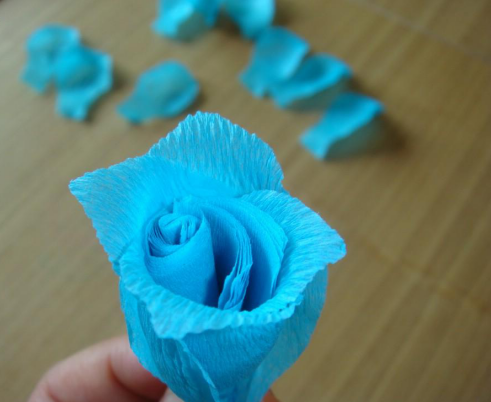 Wrap the heart of the flower with the petal. Description:11. 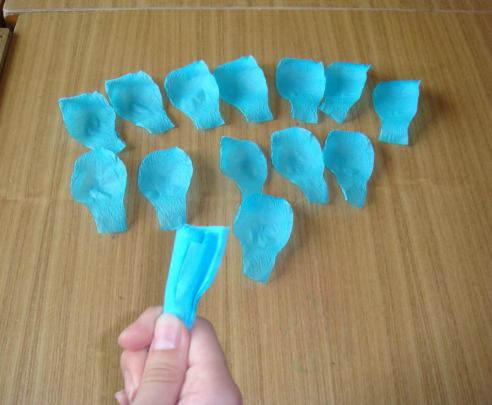 Pick up another petal and place the one that was previously made in the middle of the petal. Description:12. 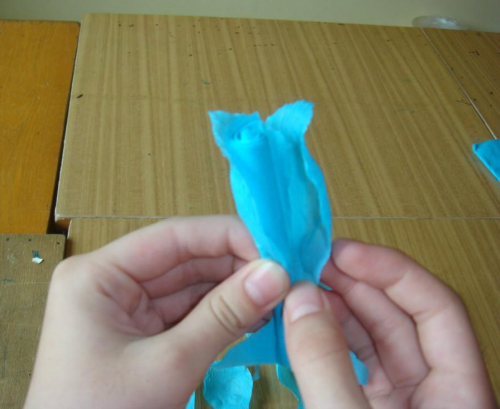 Wrap the third piece of floret over the floret. 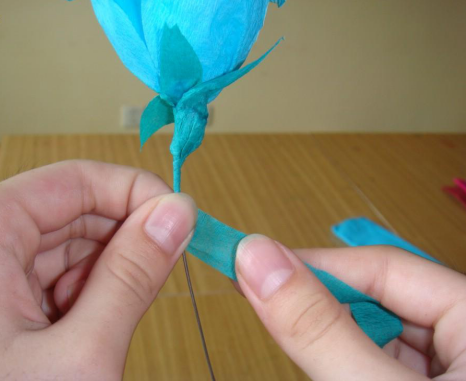 This is the first layer, and divide the three petals evenly. 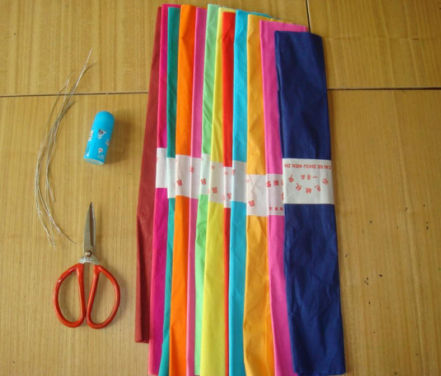 Description:13. and then three flower petals were wrapped at the junction of the petals to complete the second layer. Description:14. 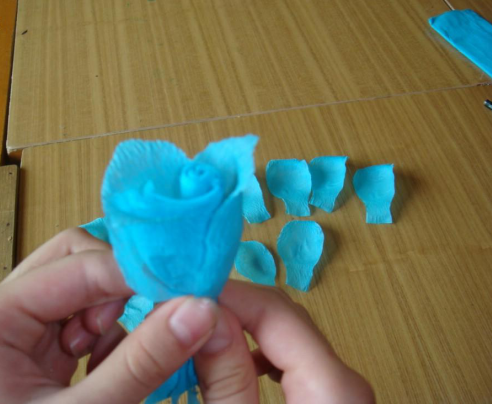 Wrap the rest of the flowers in a piece of natural wrapping around the flowers. Note that the roots should be pinched tightly and not too loosely. Description:15. 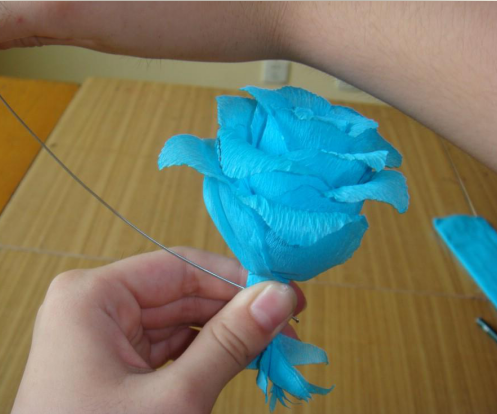 After wrapping all the petals, tie the roots tightly with a thin iron filament. Description:17. 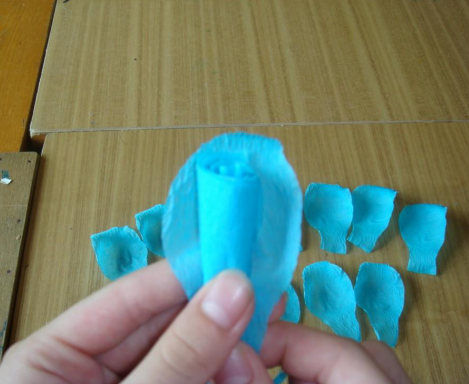 Cut off the excess part of the root and stick three green-colored receptacles to the root of the flower. 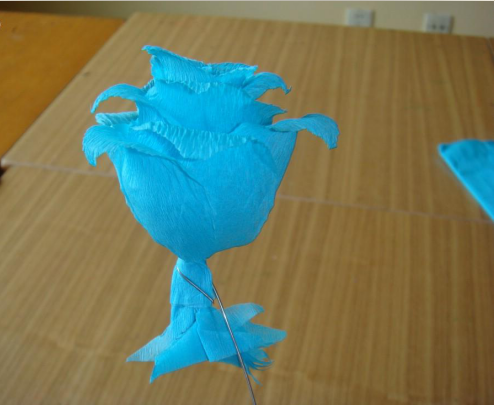 Description:18. then cut a green wrinkle paper, spread, stick to the root of the flower bed, as far as possible will be wrapped in iron wire. Description:19. 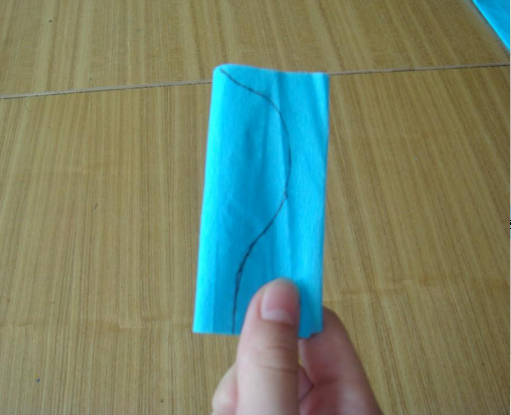 Stretch the strips of paper with your right hand, and slowly twist the wire with your left hand and roll the strip over the wire.